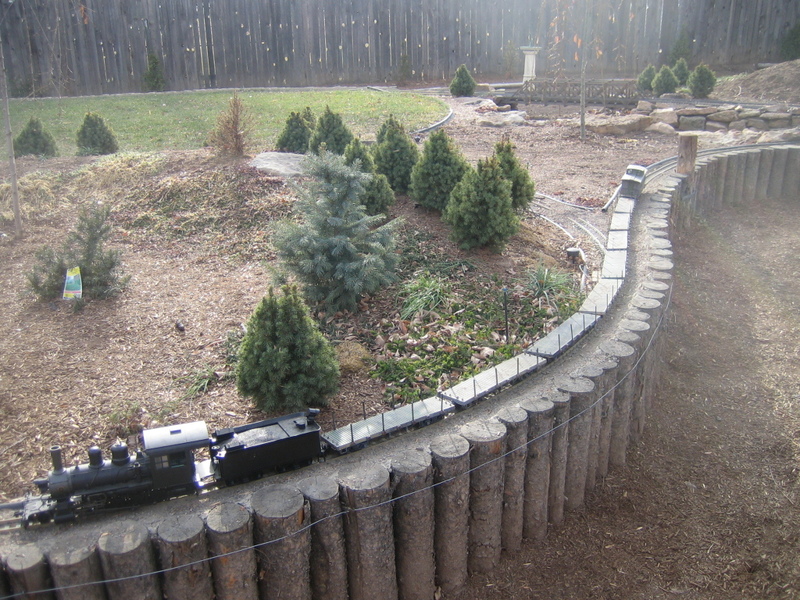 The Great Southern and Western Railway is in it's fourth year and the planting and ground cover is now starting to cover the bare dirt. 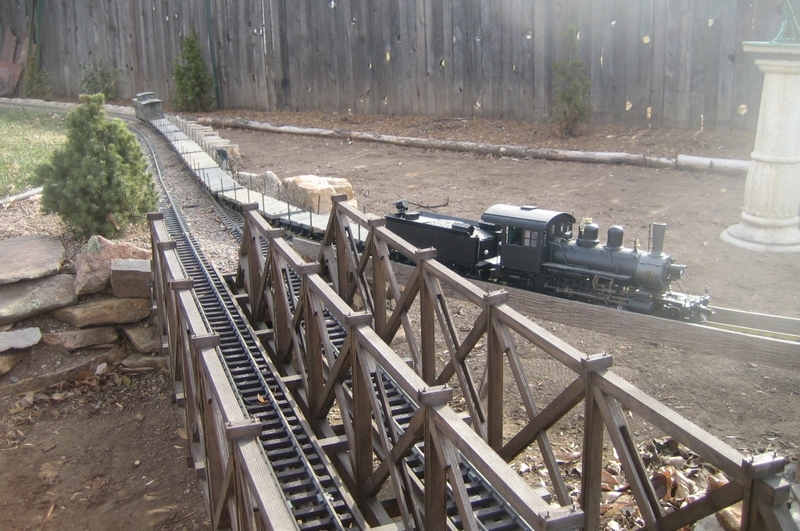 There is about 300'0" of track which was always intended to be kept fairly level as live steam operation is planned for the future. 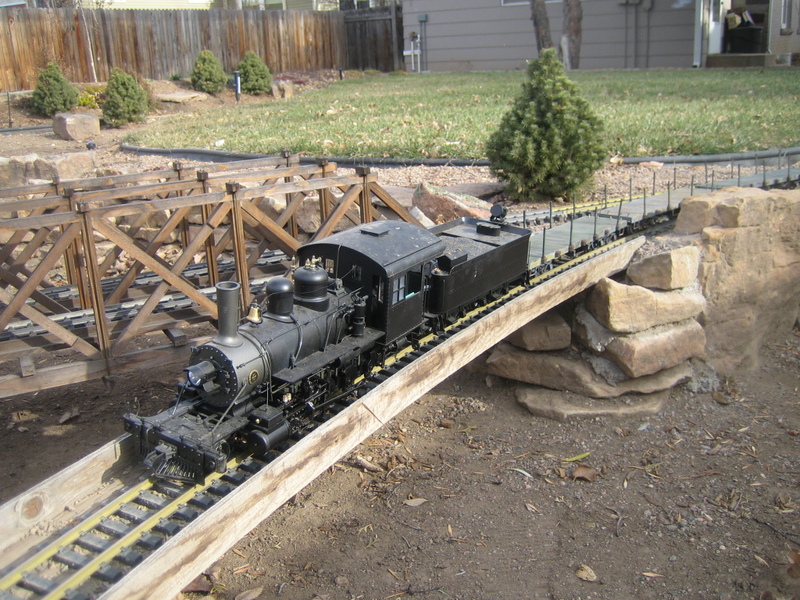 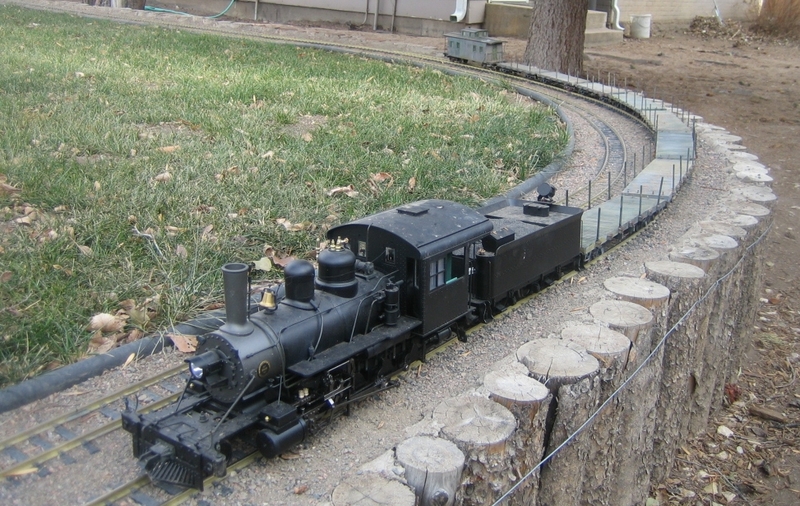 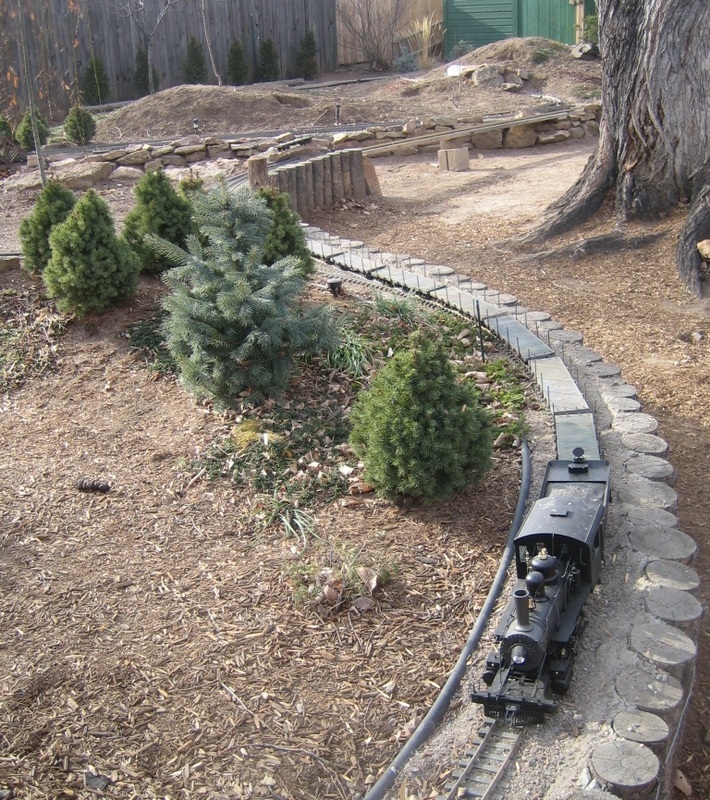 The railway is modelled on Colorado narrow gauge practice in the 1920's. 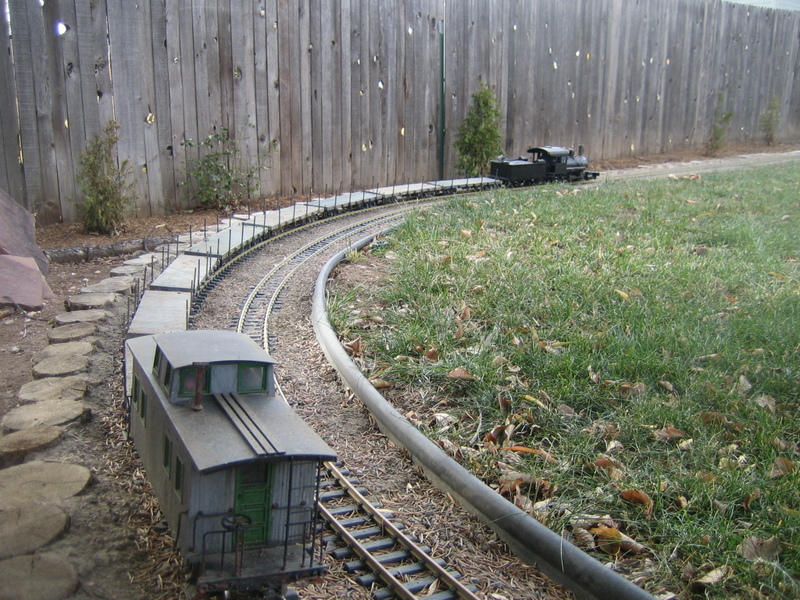 The railway uses both 20.3 and 22.5 scale equipment. 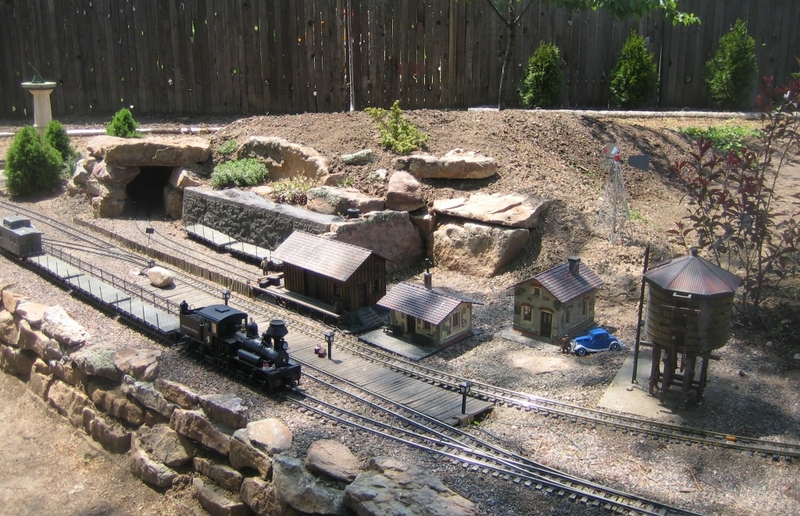 A feature of the line are the tunnels and bridges. 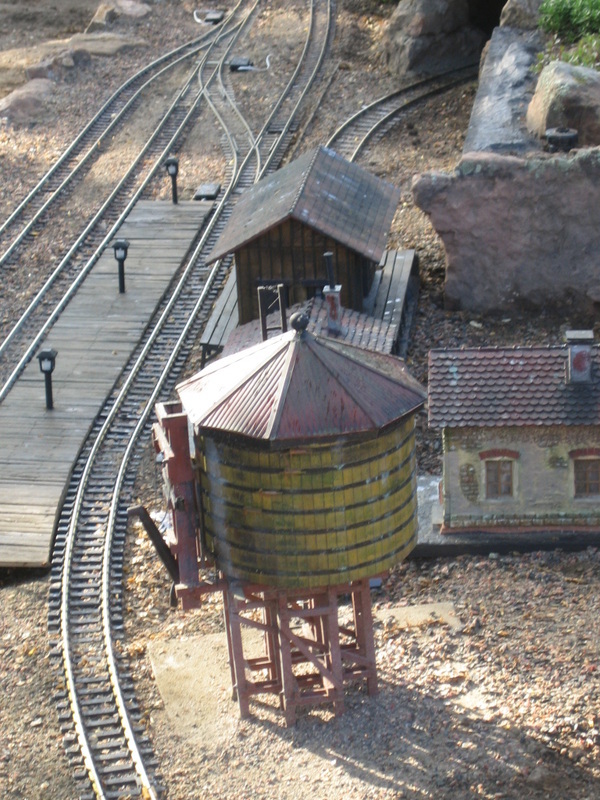 In construction is a train shed which will house the locos and cars in order to avoid continuous handling. 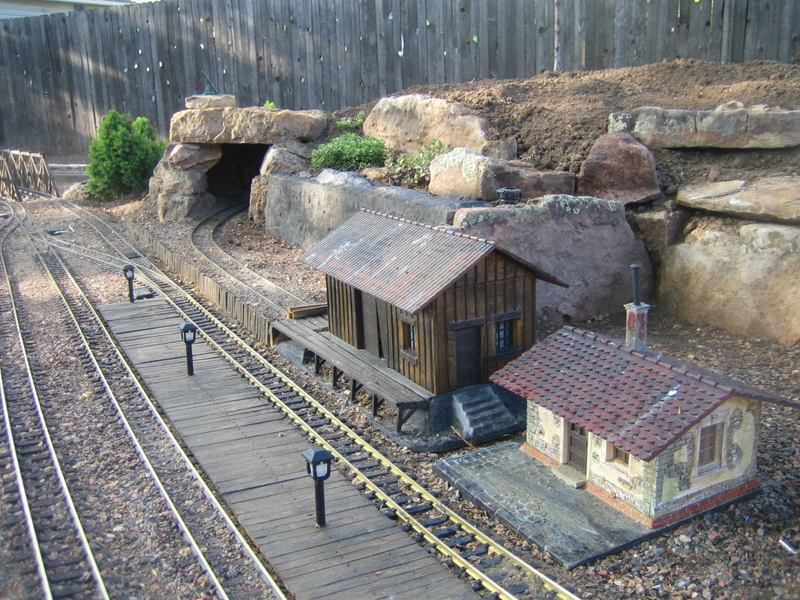 The train shed will also be the repair shop.